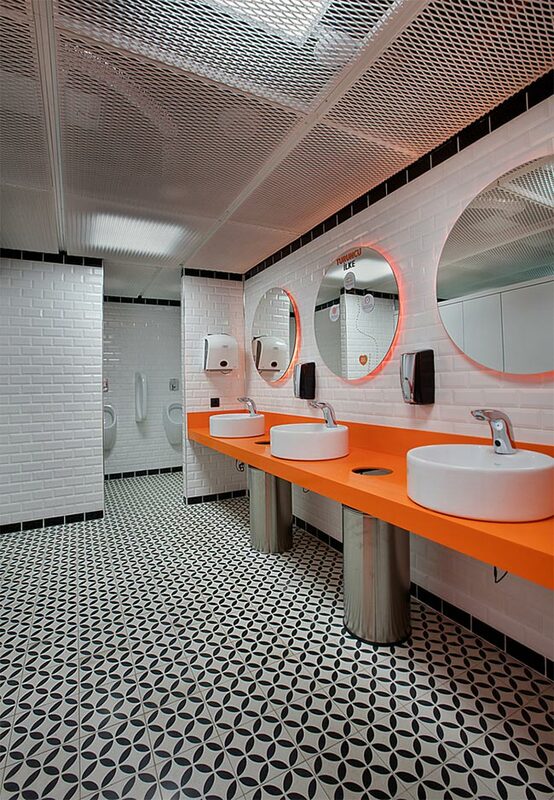 How many restrooms does my business need? It is a question that all business owners have to face when planning the layout of their stores or restaurants. Unfortunately, the answer is not as simple as we’d like. In California, the number of required restrooms is dictated by the California Plumbing Code, Table 2902.1. However, each county may have its own requirements summarized in their specific building code and that may deviate from the state requirements. Checking with your local Building Department is a mandatory step in order to find out whether any local codes apply to your business. But things are not as simple as looking through the provided tables and finding out how many restrooms your business needs. 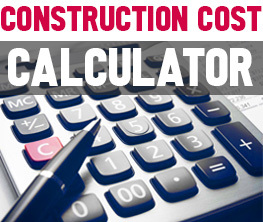 There are specific calculations involved, and problems may arise if these are not done correctly. 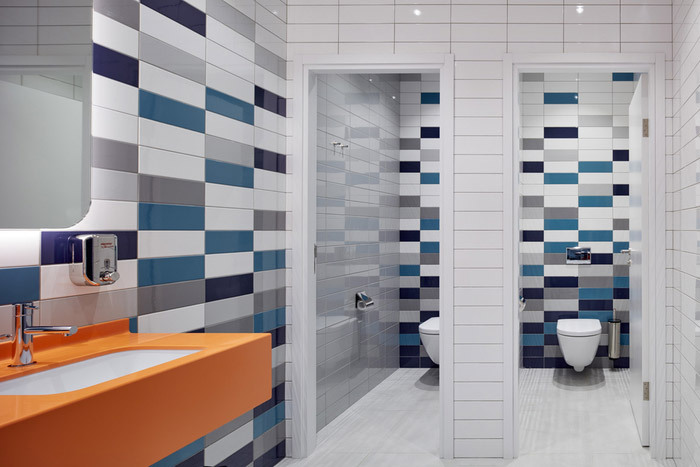 While, generally, your designer or architect can do these calculations for you, keep in mind that sometimes even contractors get confused when it comes to how many restrooms a particular space needs. 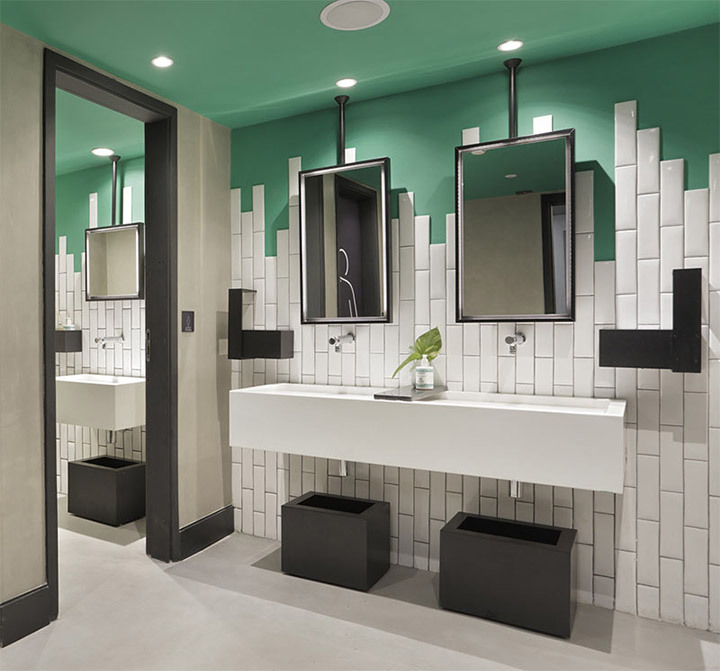 To give you an idea about how these calculations are done, here are the steps you should follow when determining how many restrooms your business should provide. Step 1. Determine your occupancy type. Your designer or architect can determine which occupancy group your business belongs to by looking through the California Building Code. As a general idea, if you own a larger size restaurant (over 2,000 sq. ft.), your occupancy type may be Assembly (A-2 for drinking and eating establishments, Section 303, California Building Code.) If your space is a bit smaller (less than 2,000 sq. ft. in size) it may belong to the Business (B) occupancy group (for assembly establishments with 50 or less occupants). Step 2. Know your maximum occupants number. Even if you know your occupancy type, you still need to figure out how many people your business can accommodate at one time, that is, what is your maximum occupants number. This is usually the task of a design professional or an architect who knows how to determine different space usage types for your establishment (or the Occupant Load Factor). Even if your overall occupancy type is A-2 or B, your space usage inside the restaurant can be divided into further categories. It can be an assembly (usually an area designated for dining with fixed or not fixed tables), a commercial kitchen, a storage, or any type of accessory space. Each of these usage types has its own occupants number. All the allowed occupant numbers are shown in Table 1004.1.2 of the California Building Code. Example. Here is an example from the Occupant Load Table showing how many square feet are required for each person for different types of space usage. To calculate your maximum occupants number, you need to determine how many square feet each of these areas is. Here is an example of a frozen yogurt shop that has some retail area (mercantile). Yogurt shop has 582 sq. ft. of ASSEMBLY area, or a dining area with tables and chairs. It also has a good size 443-sq. ft. KITCHEN. The 117-sq. ft. MERCANTILE area is a small space with shelving displaying some products. The 293-sq. ft. ACCESSORY AND STORAGE areas include the restroom, a small office housing a grease trap, and a dry storage. Step 3. Fixtures Calculation. This is the final step where you would finally look at the California Plumbing Code, Table 2902.1. Coming back to our example, the yogurt shop above can accommodate a maximum of 44 occupants. This means that we can use exception 303.1.1 per California Building Code and classify this store as Occupancy Group B (Business). Per 303.1.1 CBC, a building or tenant space used for assembly purposes, with an occupant load of less than 50 persons shall be classified as a group B occupancy. Looking at the California Plumbing Code Table 2902.1, we can see that, typically, a type B business needs to provide one toilet per 25 occupants for the first 50, and one for the remainder exceeding 50. In the absence of a knowledgeable designer or architect, you would probably assume that you need two restrooms in this yogurt shop. But your design professional will know that there are more exceptions in the code. Here is CPC 422.2 Exception (3): In business occupancy with total occupant load of 50 or less, including customers and employees, one toilet facility, designed for use by no more than one person at a time, shall be permitted for use by both sexes. Therefore, only one restroom needs to be provided in our yogurt shop example. 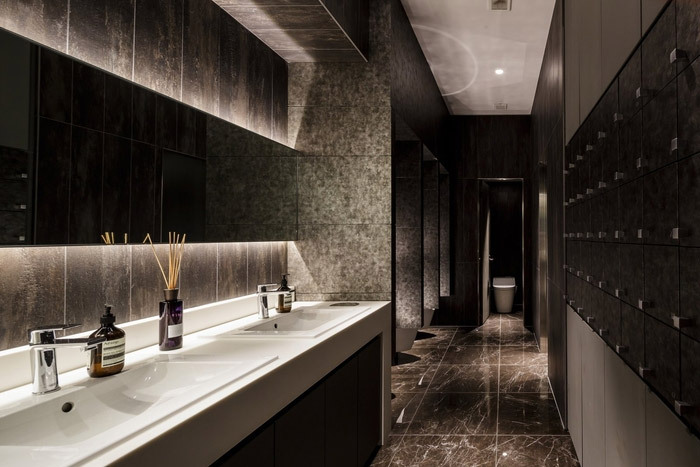 In conclusion, figuring out how many restrooms you need for your business may seem a simple task, but it requires some knowledge of the building codes. You can always guess, following Step 1, that a space below 2,000 sq. ft. may only need one restroom, while a larger one may need more. 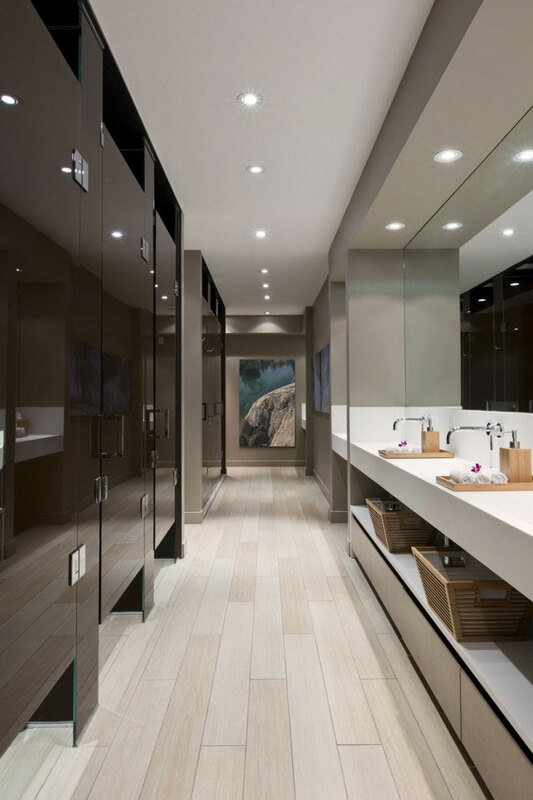 However, your design professional will make precise calculations and determine the exact number of restrooms you need to provide, avoiding potential problems down the road. What Mindful Design Consulting Can Do for Your Business – And a Word about... Does My Small Food-related Business Need a Grease Trap?